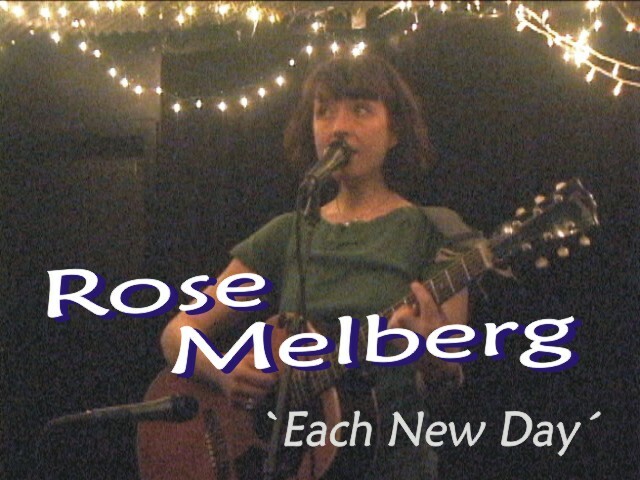 This was the CD release party for Rose Melberg - long awaited, since the CD - 'Cast Away The Clouds' - took 5 years to materialize. Rose has something akin to 'grande dame' status in indie-pop due to 90's stints with such as Go Sailor, The Softies, and Tiger Trap, based on the west coast. Since then she has relocated to Vancouver, and worked with Neko Case. 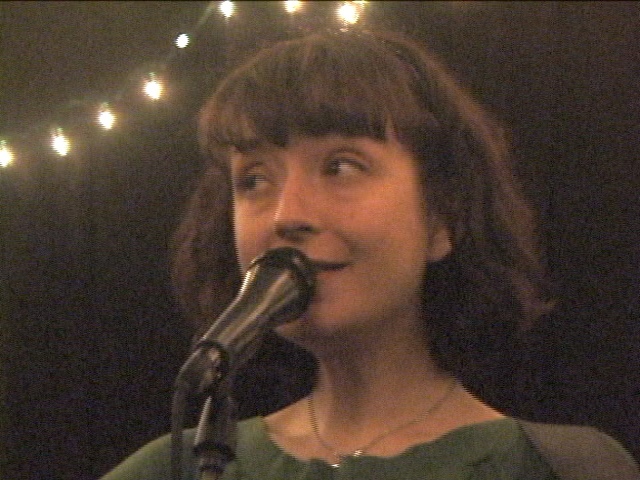 Her trademark is soft expressive personal songs, simply arranged, with exquisite harmonies. The new record does not disappoint on those fronts. For the performance she just played acoustic guitar, but was accompanied on some songs by Andrea Vaughn of My Favorite on vocals. She is solo, however, on the song I've picked, the charmimgly cheerful 'Each New Day' about a dream lover. It's a beautifully crafted ditty. Interesting to compare the cosy intimacy of this with the plush perfection of the piano-backed CD version. 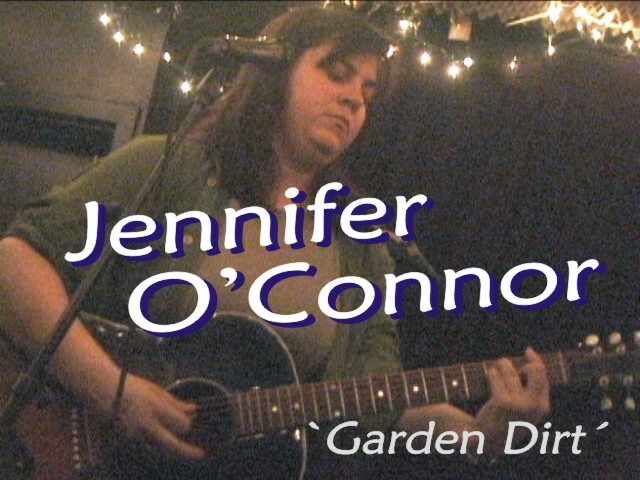 Jennifer O'Connor opened. While, like Rose, her songs are personal, they are much more earthy, but no less alluring. Matador Records will in August release her 3rd solo album - ‘Over The Mountain, Across The Valley, and Back To The Stars’. This was the first date of a campaign where, in a no doubt ground softening effort, she seems to have got herself booked into every NYC venue going over the next month or two. She was joined by Kendall Meade on some songs, but is solo on the song I've picked - 'Garden Dirt' - which is unrecorded, as of now. The h.264 files above are iPod compatible. I have knocked up DVD's of both sets. I'm awaiting clearance from the girls to sell a few online and at the Cake Shop. Stay tuned. Brooklyn Vegan pics of Jennifer and Rose from this show.